While Texas has been prone to droughts in recent years, we are quickly entering the rainy season for Central Texas. For those unaware, Austin averages 88 days of rain a year. As a homeowner or business owner with quality landscaping, it may benefit you to install a water capture system so that you can keep your grass green even in the driest of times. 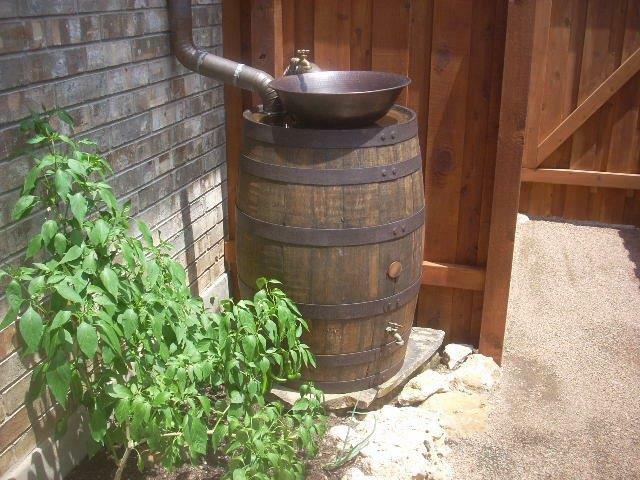 A great way to accomplish that is to learn more about Rain Barrels Near Me available from Austin Gutterman. Inevitably, the dry season will arrive in Texas. When it does, you’ll certainly see your investment in Rain Barrels Near Me come to fruition. The water collected in rain barrels installed by Austin Gutterman can be redistributed to your lawn during the dry months to keep it looking vibrant year round. But Austin Gutterman’s rain barrels also aid your lawn during the wet season as well. Rain barrels are adept at collecting gallons upon gallons of water that would have otherwise inundated your lawn and landscaping. This can cause your precious topsoil to erode or simply be carried away with the current, leaving your greenery in bad shape. So for seasons both damp and dry, you should consider rain barrels near me installed by Austin Gutterman. The types and sizes of our rain barrels vary quite a bit, so contact Austin Gutterman to have a specialist recommend the rainwater tanks that will work best for your water collection system. We’ll visit your home or business and build a complimentary rainwater collection plan to suit your needs. Contact us today to set up an appointment to create your rainwater collection plan. We look forward to hearing from you and serving your needs. Find our online contact form at http://www.austingutterman.com/contact/, or give us a call to schedule your proposal at 512-450-1821.